​ Try us out! Check back for the date of our next guest program, or just stop in for a visit. We are the Lehigh Valley Chorus! Hire us to sing at your party or event! 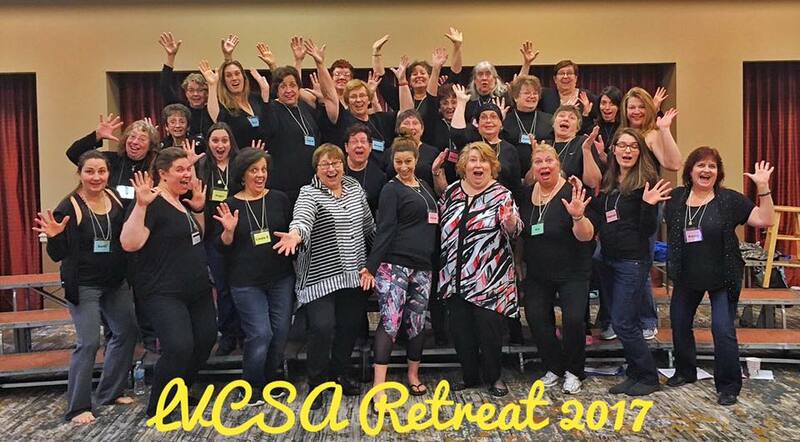 We are the award-winning Lehigh Valley Chorus: a dynamic group of women, ages 18 - 80+, from a wide variety of backgrounds, who come together to sing 4-part harmony in a fresh and exciting barbershop style. Our repertoire includes classic barbershop tunes, pop, spirituals, musical theater, and holiday fare. We are proud to be a part of Sweet Adelines International, the premier women's barbershop organization in the world. We rehearse almost every Monday night, from 7:15 to 10 PM at St George's Episcopal Church, 735 Delaware Ave., Hellertown, PA, but our members are from all around the Lehigh Valley PA area, west-central NJ, and beyond. Explore our site and learn how to join us, hire us to sing at your next event, see us when we perform, and support us! Bookmark this page and like us on Facebook for updates! We love to sing and share our unique and lively style of music! LVC is thrilled to be directed by Marilyn Block,​ who has been involved with various Sweet Adelines choruses and quartets for over 40 years, performed at the national level, and brings so much expertise to LVC. Under her direction, the Lehigh Valley Chorus received 3 medals at our Regional Contest Competition! Hire us -- either the entire chorus or just 8 of us (a "double-quartet") -- to perform at your next event!